First of all, be sure that you know how your source file handles variants. It can differ from file to file, so make sure you take a look at your file before uploading it. Start the Syncee import task and map your supplier fields to the adequate Shopify "store fields". You can read more about the basics of mapping here. Please bear in mind that you can only have 3 Option Value fields maximum and you can name them according to its content but it is usually Color, Size and Material. Also, make sure that your settings comply with Shopify's regulations about Product Variants. After mapping them correctly, you can edit the mapping settings of each field, by clicking on the gear-wheel icon. If you would like to know more about each setting, read our articles about Split to array, Replacer and Select only. We also advise you to add a Tag Shopify field to these supplier fields, because it will help your customers to navigate among your products. If all image URLs are included in one field of your file, feel free to use our Split to array setting in the "Field Mapping" step. 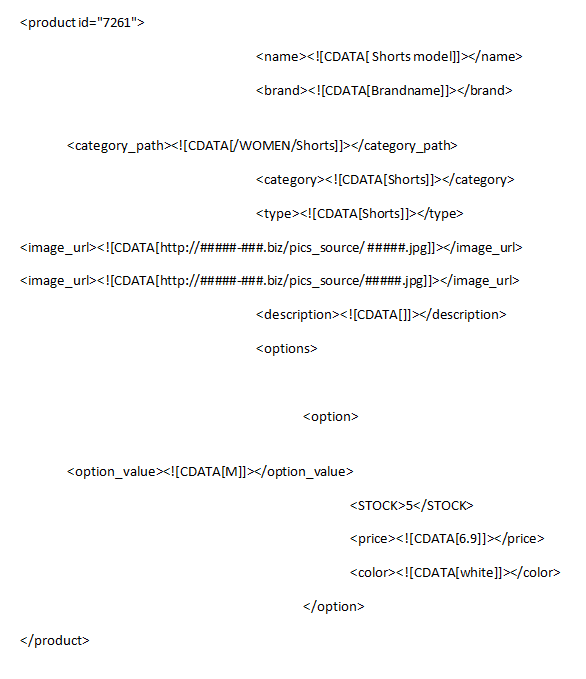 If your supplier's data feed file has a Variant column and it contains different variants, like color size and even some description, we recommend you to map this supplier fields to the adequate Shopify field, and in the "Filter" step of the wizard choose the Advanced Filter option and sort them according to the same type of variant. Create another Import task, do the required steps and filter for another kind of variant. Remember, one import task belongs to just one supplier, but you can always have more tasks with different settings for one supplier. If you have any other questions regarding product variants, do not hesitate to contact us.